I try to make it a priority to read the latest and greatest books when it comes to user experience and interaction design. I have read many great books and have tried to list some of my favorite recommendations below. The first 5 books, make the top of my list. These are the books that I always seem to be recommending to people who want to get in the field. I refer to them regularly for myself and clients and recommend them for anyone interested in user experience design. If you are new to the industry, haven’t read this book yet, or need a simple UX book to slide under your managers door, this is it. It is a very basic, yet powerful book. 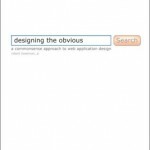 An easy read with pictures and humor that addresses some of the most important and core principles in good site design. I consider this the next must read for anyone that makes design decisions, from the interaction designer to manager. A more detailed read that is a progressive next step from “Don’t make me think”. Reviews best practices and common design principles every designer should know. 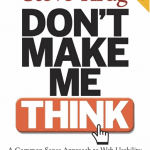 The book for anyone who works on a content based site, or controls hierarchy and structure. 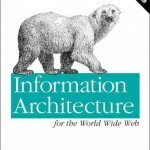 This is your Information Architecture bible so to say. Discusses all aspects of the field, including theory and practical deliverables. Another must have for any designer. Very easy read, formatted somewhat like a dictionary or reference book. 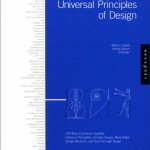 Each 2 page set contains information, examples, and background for different design principles. A fascinating book that delves into the social psychology of why people do many of the things they do. What persuades a person to buy something they may not have otherwise purchased? How do influences like social proof change the way we act and validate our decisions. Recommended for those who want to learn more about motivations behind behaviors related to persuasion. Designing for the Social Web – Great book about how the web has changed the way we interact with each other, and how to support these social requirements. The Elements of User Experience – A beginner User experience 101 book for design process and definitions. 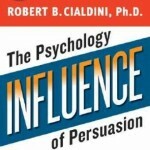 Neuro Web Design – all about persuasion in websites, a shorter more summary book of the Persuasion book listed above.